Tray Dunaway’s connection to the “business of medicine” started when he was three years old and his mother read him the Golden Book classic, “Nurse Nancy.” He, however, identified with the doctor, but thought the band-aids that came “free” with the book were too cool. When he later discovered drug sales reps provided free penlights, he was hooked. Today, M. Tray Dunaway, MD, FACS, CHCO connects the “dots of healthcare” in the healthcare ecosystem we all encounter or work in at some point in our lives. Connections between hospitals, patients, businesses of medicine, payers, and a myriad of healthcare workers. Even irascible doctors. In fact, he was an irascible doctor for sixteen years in a general surgical practice in Camden, South Carolina . As a “dotsultant” and professional speaker, he shows healthcare people, businesses, and organizations how to improve their connectivity with other “dots of healthcare” to improve profitability, enhance their reputation, increase “sales” in more dimensions than just financial gain, and to better serve patient needs. His Documentation System has brought millions of dollars of increase revenue to client physician practices and hospitals alike through more effective E&M coding and DRG coding. His MVI model of Mutual Value Integration works by improving communication, finding the chemistry to make business solutions viable, and honoring the contribution of all the dots in healthcare. Dr. Tray lives in South Carolina with his wife Jane and their three children and travels around the country to collect little hotel bars of soap, shampoo and conditioner bottles to donate and supply his favorite hospital “home-away-from-home” patient family facility in Orlando Florida for weeks on end. Dr. Dunaway's Flagship keynote is designed to provide healthcare audiences with Dr. Dunaway's latest thinking on a variety of business issues of medicine as viewed from his own Mutual Value Integration perspective. 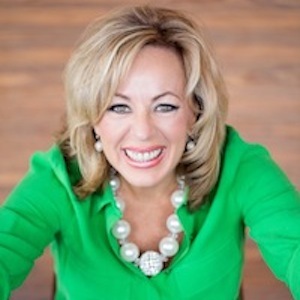 Dr. Dunaway reconnects the disorganized dots of healthcare providers by improving communication, honoring the contribution of the many dots and finding the relationship and economic chemistry that makes it possible to join forces for mutual gain. A global recession that is affecting the previously described evergreen economy of healthcare. A new president with big ticket healthcare agendas and uncertain funding. Looming legislation to reduce provider reimbursement. Healthcare is a complex matrix of connecting dots evolving from external social, financial and political pressures. But understanding how these factors can influence positively or negatively on healthcare dots and how to use social, financial, and political savvy to healthcare benefits is a key to survival and success. A step-by-step prescription tailored to the specific audience's environment is offered by Dr. Dunaway that is still hallmarked by his lighthearted approach to the most serious threat to healthcare dots since the inception of Medicare. This program discusses using physician education as a catalyst for changing the culture of physician/hospital relations. Exploring the different languages of healthcare results in improved communication and less friction between different perspectives all working toward a common goal to provide patient care excellence. Changing medical behavioral economics makes substantial and long-term bottom line improvement. Bridging the gap for clinicians between Clinical Excellence and Customer Service is a frequent focus of this program. Doctors are from Jupiter and You're From, Well, Actually, We don't care where you're from! This humorous program is given for healthcare partners or organizations that depend on good working relationships with physicians. Dr. Dunaway not only explores the difficult process of Jovian identification, but the more down to earth cultural differences. Really down to earth with cultural ecology examples of hospital/physician and hunter/gatherer relationships. Dr. Dunaway shares his discovery of how he and most physicians are unaware of the value others in the healthcare ecosystem because of incorrect fundamental physician beliefs and misinformation. Designed to improve physician communication, this presentation shows how to change not only physician beliefs driving physician behavior and results, but beliefs non-physicians have about physicians as well. Educational and entertaining, an audience favorite! For more information about Tray Dunaway please call 1.877.8TALENT or email us.